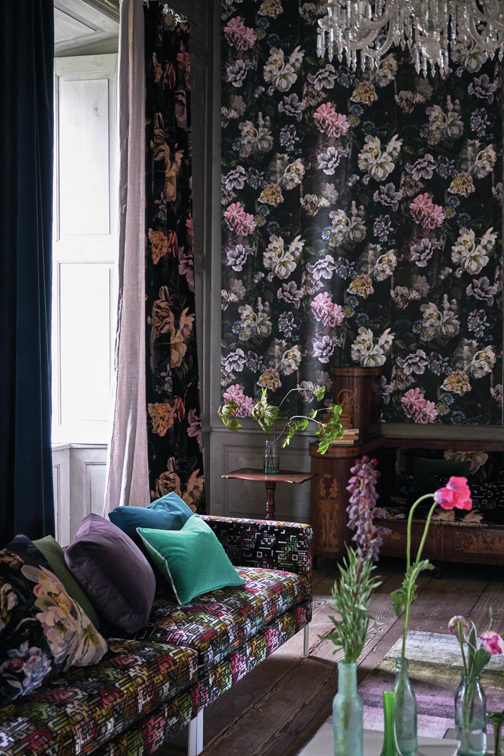 Dark, dramatic floral prints are in! 1. 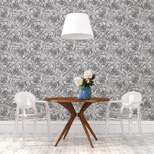 Delft flower charcoal wallpaper, by Designers Guild, available at Design & Detail. 2. 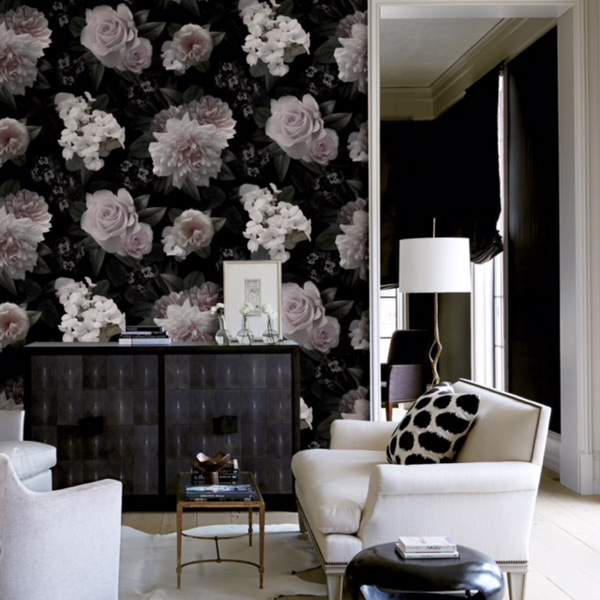 Celestial black floral wallpaper, by Brewster Wallcovering, available at The Fabric Co.
3. 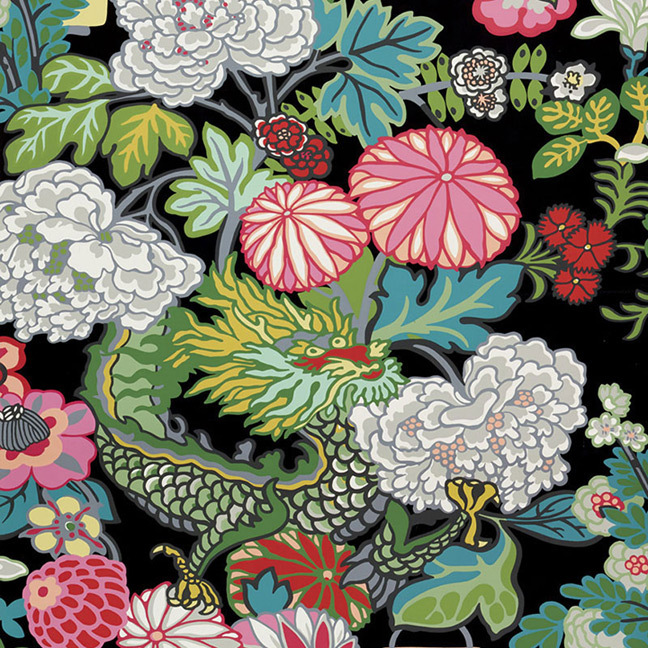 Chiang Mai dragon, by Schumacher, available at The Great Cover-Up. 4. 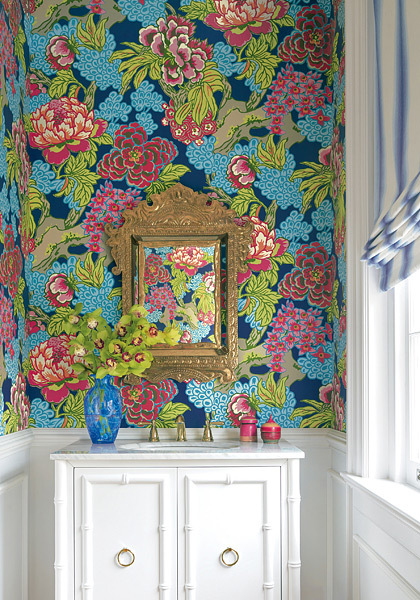 Honshu, Dynasty collection by Thibaut, available at The Great Cover-Up and Pizazz 2 Interiors. 5. Moonlit wall mural, by Brewster Wallcovering, available at The Fabric Co. Dark, dramatic floral prints are in! Perfect for a powder room or feature wall, these striking prints add texture and make a statement in a room while maintaining a feminine flair.